Did You Know That Portland is One of The Best Cities for Urban Forests? 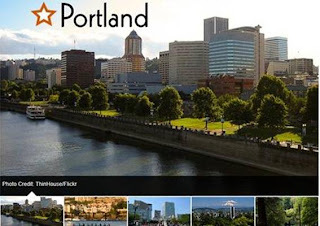 "From turning a downtown parking lot into an urban park and a former freeway into a riverfront park to maintaining a 5,000-plus-acre park with 70 miles of trails and an arboretum with nearly 1,000 species of trees and shrubs, Portland is a paradise for bikers, runners, yoga aficionados and wildlife alike. And unlike most cities in the country, its urban tree canopy has been increasing over the last few years."